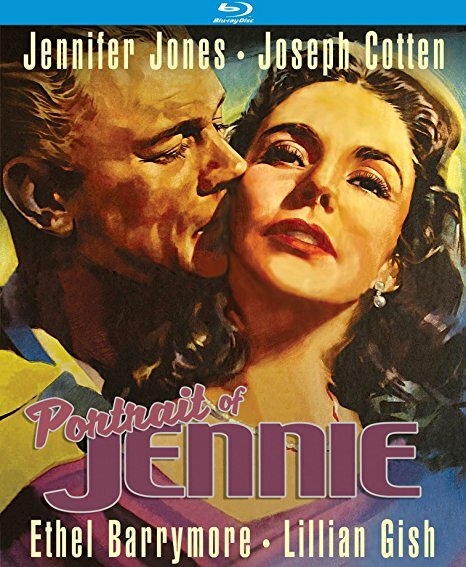 A glossy melodrama produced by David O. Selznick that simply oozes "Hollywood prestige picture" sheen, Portrait of Jennie bills itself as a romantic fantasy, but its central romance is a lot creepier than it was probably intended to be. Joseph Cotten stars as Eben Adams, a struggling searching for inspiration. 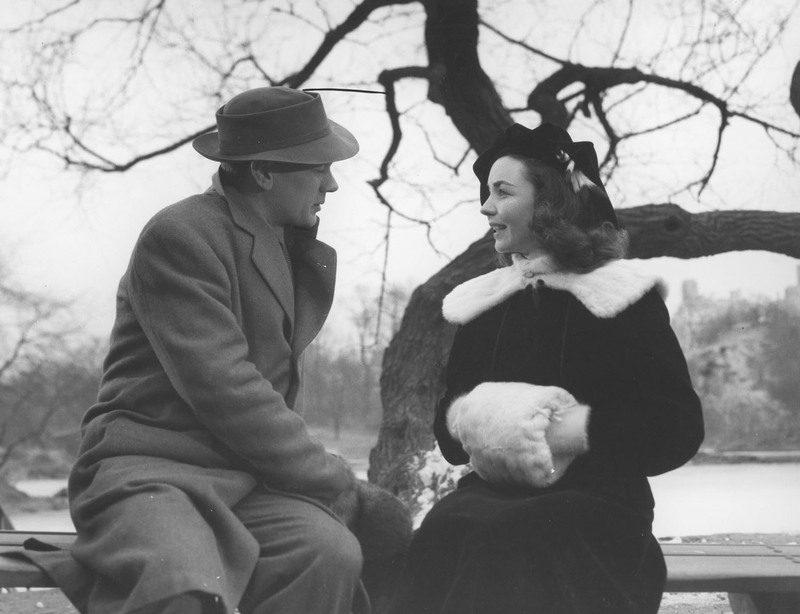 One day he finds it in the form of Jennie Appleton (Jennifer Jones), a precocious little girl he meets in the park who implores him to wait for her to grow up so they can be together forever. And wait for her he does. Unable to get Jennie out of his head, he begins to paint her obsessively. It turns out that people like his portraits of Jennie far more than his landscapes, and he becomes a somewhat successful artist while waiting for her to grow up. But there's something strange about Jennie; each time he meets her she seems significantly older, and her knowledge of current events seems to be limited to the past. As she gets closer and closer to 18, Eben begins to realize that Jennie is no normal little girl; and she may not be of his time at all. By the time he discovers the terrible truth, it may be too late to save her from the hand of fate. There is a beautiful sentiment buried in the heart of Portrait of Jennie - what if the perfect person for us happens to be born in another time? But the way that it is told, with Jennie being so young, and Eben so old (Cotten was 43 at the time) for so much of the story, makes for an uncomfortable situation all the way around. Granted, Cotten was 43 at the time and Jones was 29, but there's just something icky about how the film dresses her up and parades her around like an adolescent, turning her into the prepubescent object of desire for a 40 year old man. At one point, Selznick even considered casting an actual little girl (Shirley Temple was originally considered) to play the role, then shoot the rest of the film Boyhood-style over a period of years as she actually grew up. Time and logistics eventually convinced Selznick to scrap the the plan, which was probably for the best considering how creepy it is already. Strangely repellent plot aside, Portrait of Jennie constantly feels like its trying to hard to project its own prestige. From the stodgy opening narration, to its color-tinted climax and splashy special effects, Selznick was clearly trying to put the money on-screen. Cinematographer Joseph H. August (who died during filming and was replaced by the uncredited Lee Garmes) shot some of the scenes through gauze to suggest the texture of a painting, but the effect comes off as more gimmicky than anything else. The presence of Ethel Barrymore and Lillian Gish adds class to the proceedings, but even they get bogged down by the film's self-seriousness. After Gone with the Wind, Selznick spent the rest of his career chasing that film's success, to no avail. 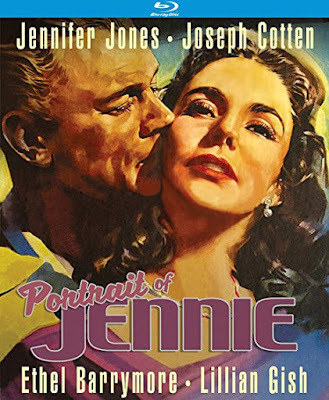 He threw everything he had at Portrait of Jennie (including his wife, Jones), but it turned out to be a box-office bomb, despite Oscar-winning special effects. It hasn't aged well in the interim either (even the new Kino Blu-Ray can't really hide the damage to the negative), putting an awkward romance front-and-center that makes one wonder whose fantasy this was in the first place. Now available on Blu-Ray and DVD from Kino Studio Classics.